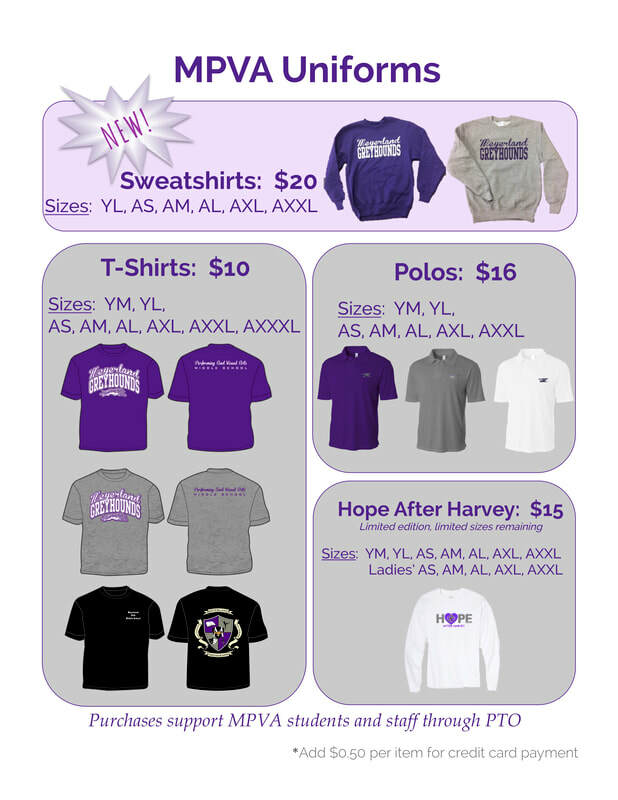 Uniform sales during the school year occur near the auditorium lobby (School store) at some Wednesday lunchtimes. For more information about uniform sales, and to verify store hours, please contact our committee member responsible for uniform sales, Ms. Shawna Robertson at shawnaandb@aol.com. ﻿﻿For the 2016 - 2017 school year, we introduced new uniform designs in line with the name change of the school, from Albert Sidney Johnston to Meyerland Performing and Visual Arts. The old uniforms are permissible through the 2018-2019 school year. The P.E department sells P.E. uniforms at class times.